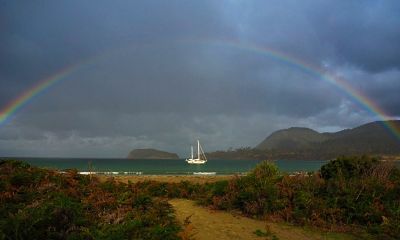 Just to the south of Australia lays the island of Tasmania, an underrated destination for boaters. Boating around this island can provide varied experiences for world travelers who crave adventure. Located off the coast of southern Australia, the lone island of Tasmania is renowned for its lush and wild natural beauty. Its expansive stretches of coastline make for excellent boating grounds, and its varied land-side attractions draw visitors from all around the world. If you are looking for a remote boating locale that provides breathtaking views and unvarnished nature at its finest, then you should consider selecting Tasmania as your next boating destination. 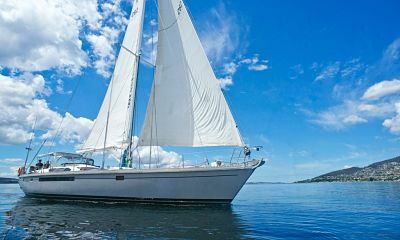 As the 26th largest island in the world, Tasmania has plenty to offer in the way of experiences for boaters who are eager to explore the farthest reaches of the world. A full fifth of Tasmania is under ecological and heritage protection through the Australian government, making its natural and marine parks major draws for international visitors. The island itself has a relatively low population, which helps ensure that that its natural assets are preserved. 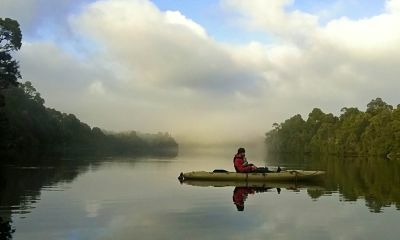 From its rough-hewn western coastline to its quieter eastern side, Tasmania has environments to appeal to any boater. As far as sailing is concerned, Tasmania features waters to tempt sailors of any skill level. If you are a beginner or prefer to boat in calmer waters, then you will likely greatly enjoy the eastern coast of the island, which is home to many protected anchorages and small towns that you can leisurely wander through. If a boating challenge is more your speed, then the shallow waters of the Bass Strait — with its westerly winds whipping the surface — can provide hours or days of exciting recreation. 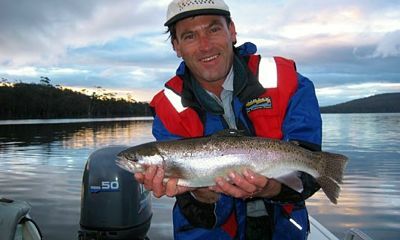 If you are both a boater and an avid fisherman, you should consider visiting Tasmania. On the east coast, you can gain access to quaint fishing villages via the Huon River. Many kingfish, trevally, and bream live in Georges Bay, which also contains St. Helens, which is considered to be the game fishing capital of the island, and which boasts at least four different species of tuna and marlin. One of Tasmania’s greatest charms is that so much of it is undeveloped. This does not mean, however, that it is a land comprised of solely natural facets. The island’s coast can be generally divided into three distinctive regions: the north, the east, and the west. Each of these areas is defined by their own distinctive traits, and each can offer something unique to traveling boaters. The northernmost region of Tasmania (which is closest to mainland Australia) is the most populated portion of the island. With a sheltered coastline, and many natural inlets and estuaries to explore (as well as the historic Port Stanley), northern Tasmania is very popular with boaters who are fond of cruising and seeing the sights. The Tamar River belongs to this area, and is Tasmania’s largest estuary. It also provides an ideal way to access Tasmania’s famous wine district. Aside from Georges Bay and the city of St. Helens in the east, there are many places for boaters to explore. Coles Bay (situated on the western side of the granite Hazards mountain range) is perfect for boaters and wilderness-lovers alike. History buffs will likely enjoy Eaglehawk Neck, which is home to Port Arthur, a penal colony turned open-air museum. After learning about the convict past of this colorful place, you can stroll around the stunning cliffs for unparalleled views. Hobart, the island’s capital city, lays on the southeastern coast, and its stylish Salamanca District houses a number of restaurants, galleries, and pubs. Stroll Battery Point to see historic architecture, and be sure to stop by the Museum of Old and New Art to view its impressive collection. 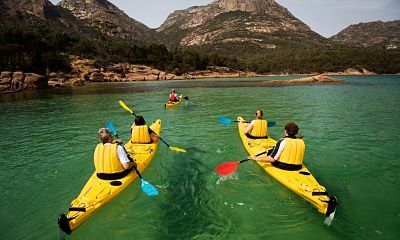 Thrill-seeking boaters need look no further than the west coast of Tasmania for the excitement they crave, as this wild region is known for its tumultuous seas. Australia’s highest recorded wave was recorded here at over 72 feet, and the seas often reach heights of at least 22 feet. Strahan at the center of the area is a sheltered port for those seeking a reprieve from the sea, and also provides direct access to Gordon River (which you can follow up to historic Devil’s Gate). Each of these marinas are fairly close to each other, which makes the southeastern edge of the island that much more accessible and your boating adventure that much easier to plan. When winter covers the northern hemisphere, it may be tempting to head straight to more well-known tropical destinations, but in doing so you may overlook more untouched gems such as Tasmania. If you are a boater who craves adventure and wishes to see the true beauty of the natural world, you will likely fall in love with this island. Tasmania offers a special combination of ancient history, culture, and unimpeded nature that is difficult to find anywhere else, and which will make for a truly memorable boating journey.